The 1994 Rwandan genocide was a particularly gruesome affair, even by 20th century standards of mass extermination. The Hutu-led government orchestrated the slaughter of as many as a million Tutsis and moderate Hutus, with most of the killing undertaken by ordinary citizens. In four short months, Rwanda provided the world with an unfathomably disturbing insight into the human capacity for collective madness. Today, Rwanda is a revelation of an entirely different sort. As detailed in Will Ferguson’s enlightening and sometimes startling Road Trip Rwanda, the central African country has performed a complete 180 in the past two decades and now stands, by almost any measure, as a model of continental progress and stability – from economic growth, poverty reduction, and absence of corruption to education, health, and gender equality. 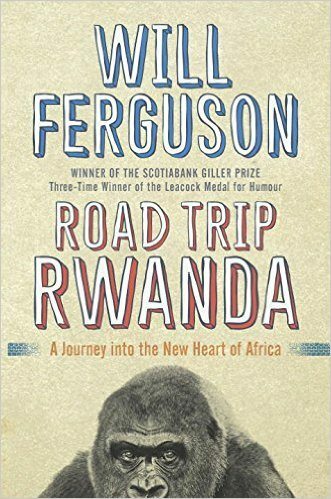 Calgary-based humourist and travel writer Ferguson won the 2012 Scotiabank Giller Prize for 419, a novel about a Nigerian money scam. Travelling the length and breadth of Rwanda with Rwandan expat Jean-Claude Munyezamu, Ferguson details the bustling energy of Kigali and other cities, while also touring rural areas and the country’s majestic wilderness. Though not short on historical context, the book’s narrative strength – and weakness – resides in Ferguson’s penchant for jaunty, anecdotal prose. The approach produces vivid, frequently humorous descriptions of people and places, flora and fauna, as Ferguson focuses his keen, observational sensibilities on bright-eyed children, dilapidated hotel rooms, and mischievous chimpanzees. Too often, however, the author’s constant need to keep the reader amused results in running gags that quickly wear thin. For instance, the repeated mention of Ferguson’s frustration that his road buddy does not share his fondness for beer. Despite this, Road Trip Rwanda is revealing. With some judicious reining in, the book would have delivered an even more forceful testament to Rwanda’s miraculous turnaround.